Macedonia is a small country on the Balkan Peninsula with Skopje being its capital city. With the best fares from Skopje Taxi, you can reach Skopje in less than half an hour. Macedonia has beautiful scenery, great food and warm people. Here are 10 interesting facts about Macedonia. 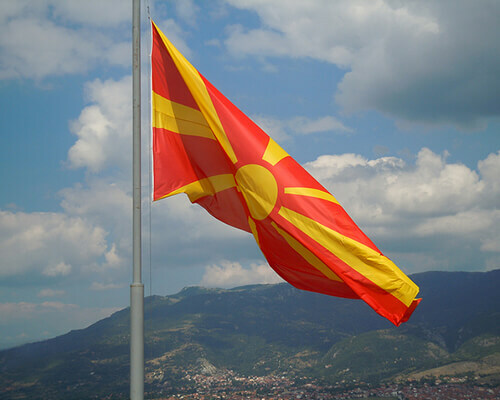 Macedonia is the only country that got independence from Yugoslavia without shedding a single drop of blood. Despite everything, Macedonia was entirely at peace at the heat of Yugoslav wars in early 1990s and got independence in 1991. In Macedonia you can find more than 50 lakes and 34 mountains higher than 2,000 meters. At least 80% of the country consists of hills and mountains. Furthermore, it has the fifth highest average elevation of any country in Europe (741m), behind Andorra (highest), Switzerland, Austria and Turkey. One of the most interesting facts about Macedonia is its history. The ancient kingdom of Macedon goes back as far as to the 808 BC. While modern-day Macedonia most closely relates to the ancient kingdom of Paeonia, north of the kingdom of Macedonia. In fact, Skopje is seven thousand years old. While on the matter, there are parts of the cross on which Jesus was crucified in the foundations of three monasteries. Specifically, these monasteries are St Bogorodica Prechista in Kichevo, and St Jovan Bigorski and St Georgij Pobedonosec in Debar. Across the country there are nearly 1,000 churches and monasteries. 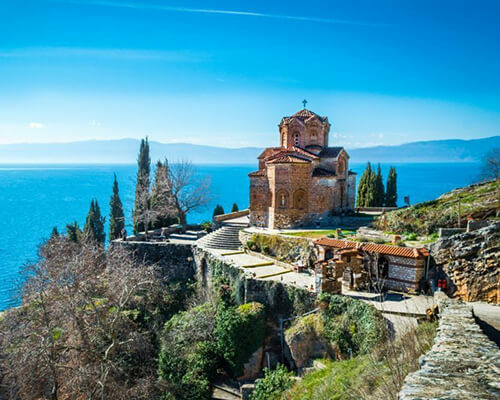 Ohrid is notable for once having 365 churches, one for each day of the year. 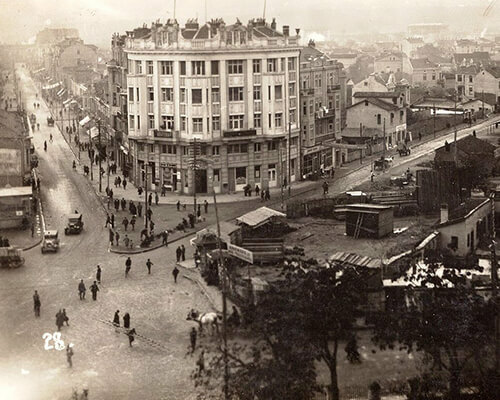 Thus the nickname “Jerusalem of the Balkans”. Ohrid is the country’s only Unesco World Heritage site. The city and its lake (Lake Ohrid) are both cultural and natural inclusions. In truth, Ohrid Lake is the oldest and one of the deepest lakes in Europe (max depth of 288 metres). To enumerate, it’s around 4 million years old and has 200 endemic species that haven’t been discovered at any other place in the world. It’s a World Heritage site since 1979. 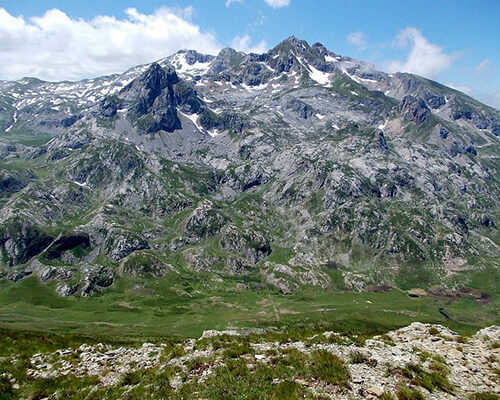 Macedonia boasts three national parks, of which Mavrovo is the largest. 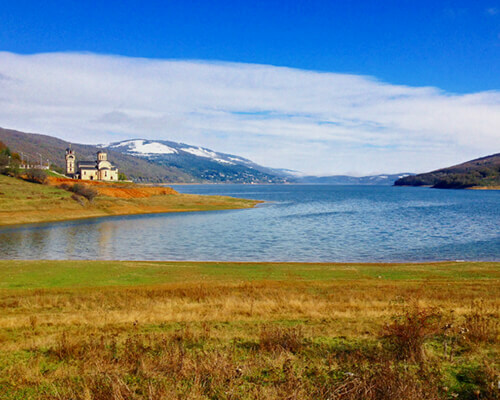 National park Mavrovo was founded in 1949 and takes in the artificial Lake Mavrovo. It also has the highest mountain peaks in the country, allowing for skiing and snowboarding in the winter. The other two national parks are Pelister and Galičica. National park Pelister is located in the Baba Mountain massif and covers an area of 171.5 square kilometres. Because of the mountain, the altitude varies between 927 and 2,601 metres above sea level and has exquisite flora and fauna. National park Galičica is located on the side of the mountain Galičica. In detail, it’s between the two biggest lakes, Lake Ohrid and Lake Prespa. It stretches over an area of 227 square kilometres. 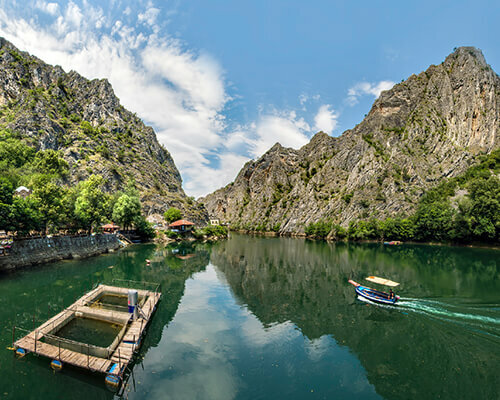 Another one of the most interesting facts about Macedonia is that cahttp://www.canyonmatka.mknyon Matka is a gorge in which a rich complex of medieval building survives. In particular there are churches, monasteries and remnants of a fortress (the medieval town of Matka). In addition, there are dozens of caves and large number of endemic plants and animals. The Canyon covers an area of around 5.000 ha and is located 15 km south-west of Skopje. Cave Vrelo has many stalactites including a large one in the middle of the cave is known as the “Pine Cone” due to its shape. There are two lakes at the end of the cave, with one larger than the other. Though the exact depth of the cave is unknown, some speculate that it could be the deepest underwater cave in the world. This cave made the list of Top 10 European canyons and gorges for walking and hiking trips by The Guardian. 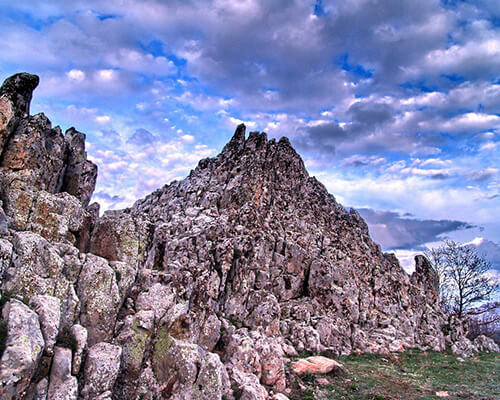 Another one of the most interesting facts about Macedonia is related to Kokino. The archaeo-astronomical site, the megalithic observatory “Kokino” is located approximately 30 km from the town of Kumanovo. Meanwhile, NASA recognised Kokino as a significant heritage of this type in its “Timeless knowledge” project in 2005. This fourth oldest astronomic observatory in the world dates back to the 19th century BC. It’s on a UNESCO tentative list of protection. Skopje is home to one of the biggest crosses in the world, the 66-metre high Millennium Cross. In fact, it was built to mark 2,000 years of Christianity in Macedonia and the world. 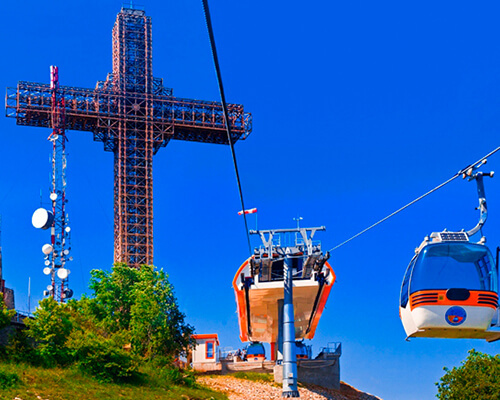 It sits atop Vodno mountain on a place known as “Krstovar”, meaning “Place of the cross”. Mother Teresa was born in Skopje in 1910, though she was Albanian by ethnicity at the time of her birth. Today, there is both a statue of her and a memorial house in her hometown. 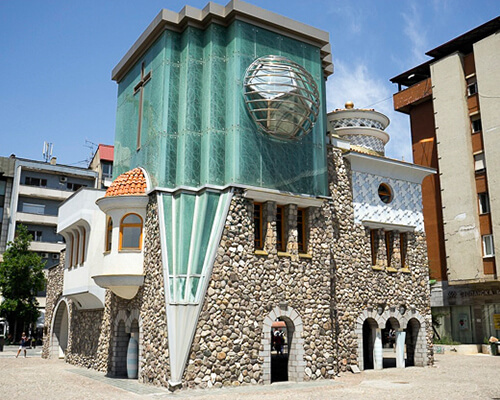 The memorial house is on the popular Macedonia Street in the Centar municipality. It’s on the very location of the once Sacred Heart of Jesus Roman Catholic Church, where Mother Teresa was baptized. The Cyrillic alphabet, used by several Balkan countries, is based on the alphabet developed in the 9th century by two Macedonian brothers. 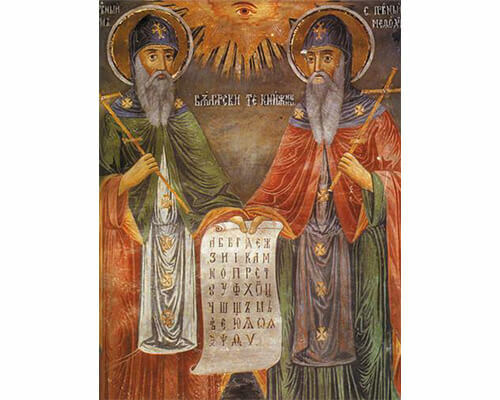 There names are St Cyril, thus Cyrillic, and St Methodius. It was taught by their disciples at a monastery in Ohrid, from whence it spread across the eastern Slavic world. We hope you enjoy our list of 10 interesting facts about Macedonia. If you’re planning on visiting Skopje, read our blog post about the 5 places you must visit in Skopje.